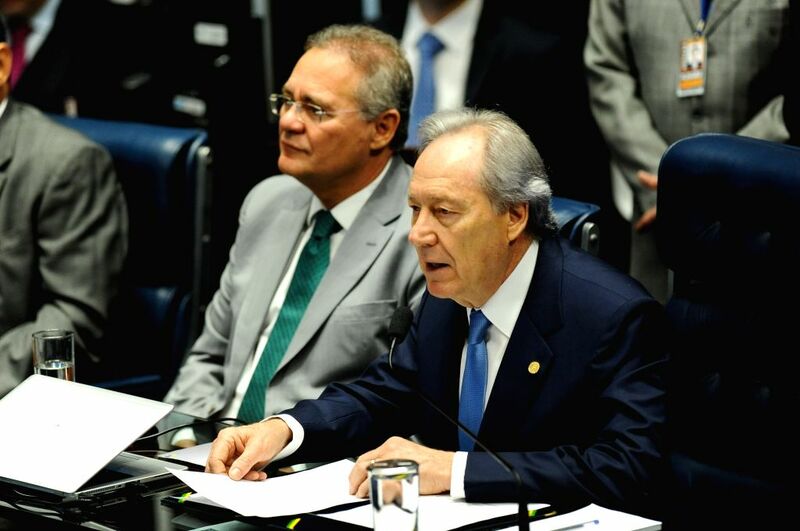 BRASILIA, Aug. 10, 2016 - President of the Brazilian Supreme Court Ricardo Lewandowski attends a session of the Brazilian Senate in Brasilia on Aug. 9, 2016. The Brazilian Senate decided Wednesday to give the go-ahead to an impeachment trial against suspended President Dilma Rousseff. 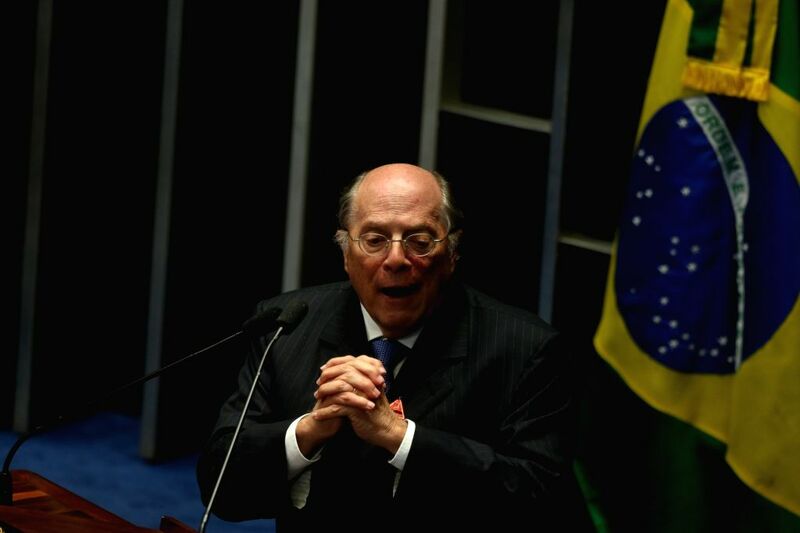 Miguel Reale Junior, one of the authors of the petition for impeaching Brazil's suspended President Dilma Rousseff, delivers a speech during a session of the Brazilian Senate in Brasilia Aug. 9, 2016.